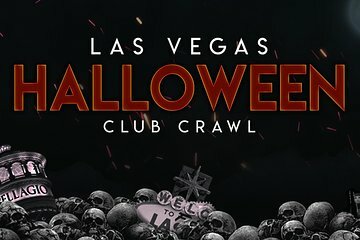 Spend Halloween in Las Vegas’s hottest clubs on a club crawl. Skip the lines and get express entry with no cover charge to four venues. Enjoy exclusive perks like drinks specials and drinking games at the starting venues and then see Las Vegas with a dedicated host for the night. See top DJs and get inside tips on the best clubs and bars in the area on a 3-8 hour club crawl. Lineups and starting times are posted on our website www.laepiclasvegas.com weekly. Must be 21+ with a government issued ID to attend. Questions? E-mail us at Info@laepicclubcrawls.com or call our office at (702) 836 3515.